Everyone loves ingenious devices that help us do things more easily or in a more fun way. 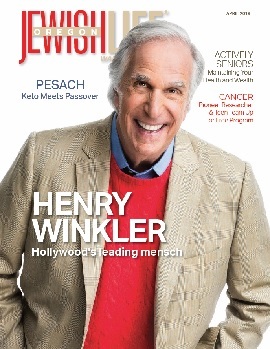 Consider putting some of these Israeli inventions on your shopping list. 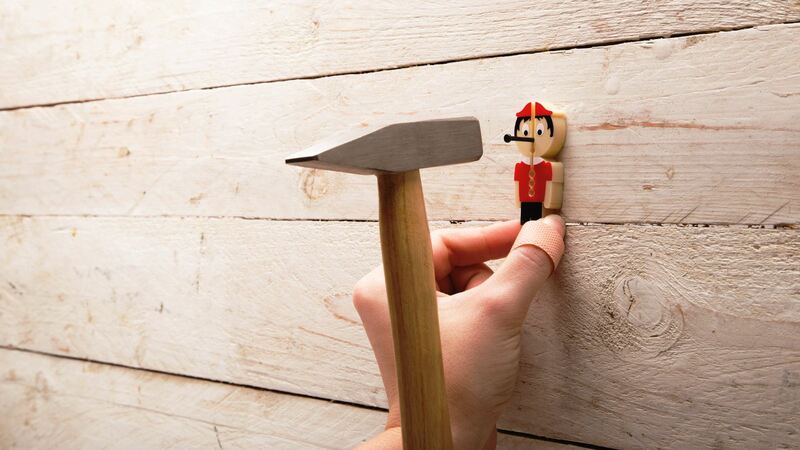 Billed as “a gift good for every home, especially ones with fingers,” Nail It by industrial designer Avihai Shurin, available from Tel Aviv design house Monkey Business, is a simple and fun plastic gadget that helps you avoid injury when hammering a nail. An elephant never forgets … to help kids reach the tap. 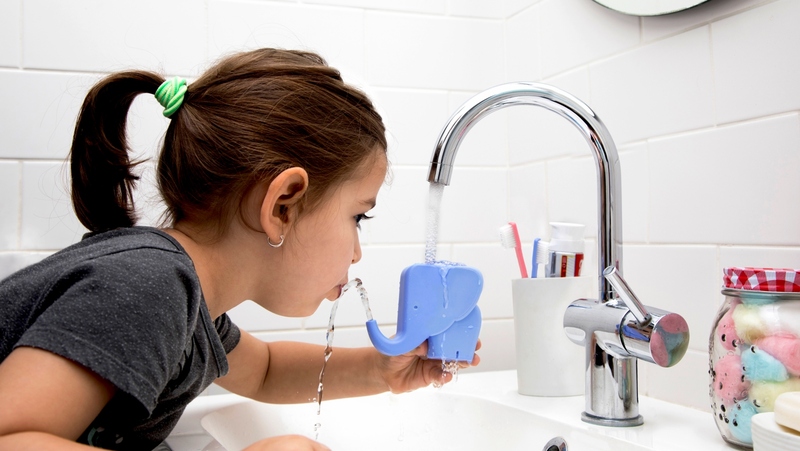 Industrial designer Ori Niv’s plastic pachyderm pal from Peleg Design redirects the water stream closer to children, making it much easier for them to accomplish their tooth-brushing, face-washing routine. 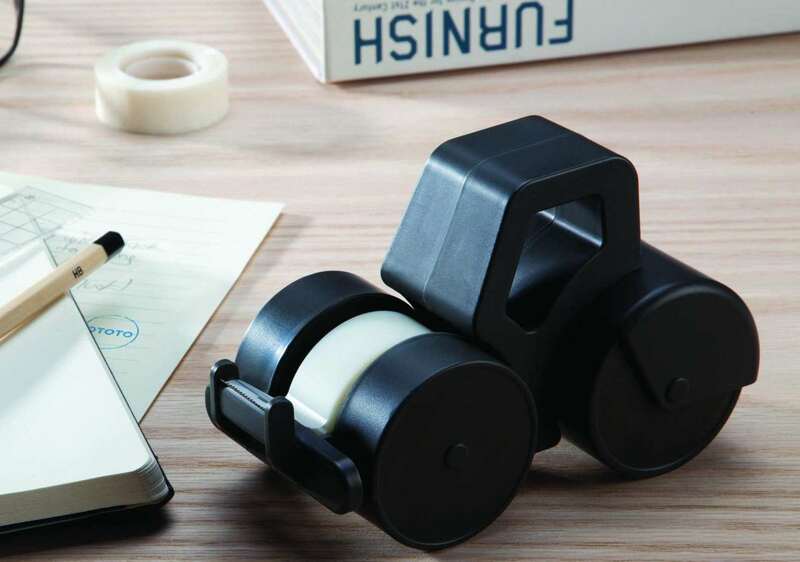 This fun plastic-and-stainless-steel tape dispenser from Ototo design house in Tel Aviv brings in heavy machinery to solve that sticky situation caused by the ends of tape getting crinkled or impossibly adhered to the rest of the roll. Easily dispenses one tape while storing a spare roll inside the rear wheel. To refill, just pull the two front wheels apart. The dispenser, available in black or white, comes with two rolls. Does Daisy give off a whiff of something less pleasant than flowers? 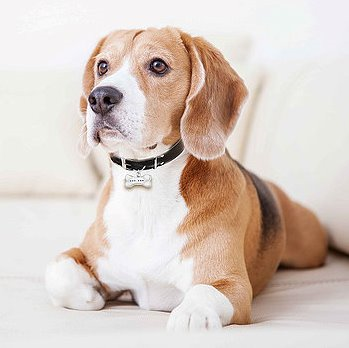 ICG Ventures’ Perfpet “scent jewelry” is a stainless-steel heart- or bone-shaped locket that hangs on your pet’s collar and slow-releases whatever scent (perfume or essential oil) you spray on the capsule inside it, lasting for up to a week. To change the aroma, use a new capsule — the product comes with three – or re-apply fragrance to the existing capsule. Never lose your keys, glasses or phone again – leave them on this whimsical wall-mounted organizer from Artori Design (screws included). Made of durable bent metal and coated in electrostatic paint, this superhero can hold objects hung on his arms, legs, and the back of his cape. The unit comes with a small magnet for attaching important notes. This reusable keychain device made TIME magazine’s 2018 Genius Companies list. In less than two seconds, it will let you know – via a green or red light – if your tap, bottled or natural drinking water is safe. Lishtot (Hebrew for “to drink”) uses patented sensor technology for detecting contaminants like E. coli, lead, PFOA, arsenic, mercury, copper, chlorine, and protein. You can Bluetooth the data to the Lishtot app to see how your different water sources compare. 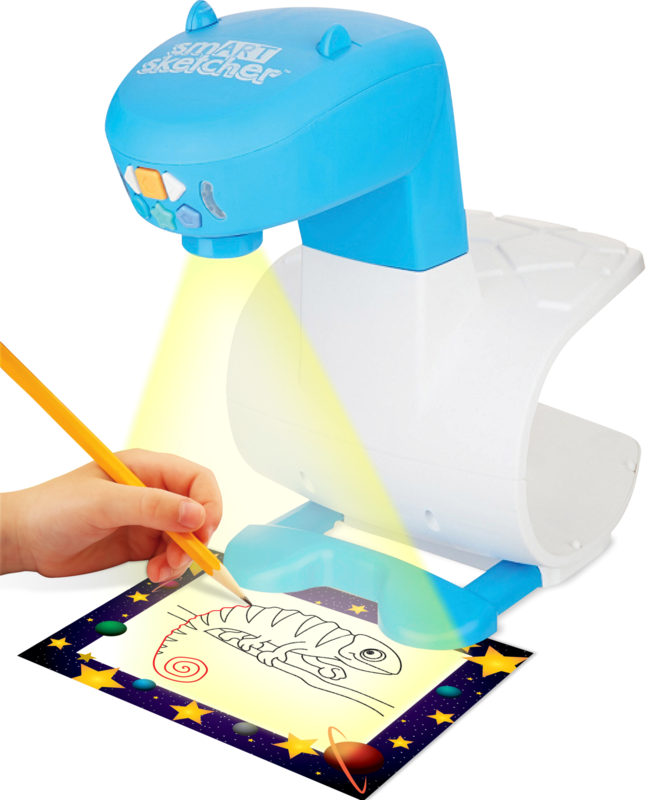 Micro SD cards inside this smart projector guide budding artists in step-by-step drawings, learn-to-write letters and numbers, early spelling skills, and more. With an associated free app, the gadget can also transfer and project any smartphone photo onto paper, ready to be sketched. Additional SD cards can be purchased separately. Launched last year, smART Sketcher was a Toy Association Rookie Toy of the Year (TOTY) finalist (US), won Best in Show at CE Week and Toy of the Year at the Spanish Toy Fair, and was featured on the “Today” show and “Fox & Friends.” The gadget is available from major retailers including Target, Amazon, Walmart and Barnes & Noble, for ages 5 and up. Getting curly hair straightened at a salon is a long, costly procedure. Using a flat iron at home can give you mixed results and the possibility of a burn. Sharon Rabi and her father, Kobi, an electrical engineer, spent three years perfecting Dafni (named for Sharon’s sister), a patented heated hairbrush that straightens a full head of hair in about five minutes. Dafni Go is the portable version. 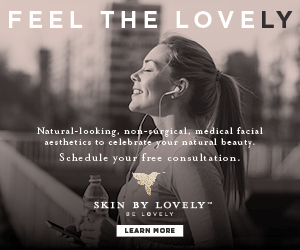 This gadget has been featured in Vogue, Glamour, Cosmopolitan, People, Elle and InStyle. For safety’s sake, the ceramic inner structure is surrounded by plastic heat-resistant bristles. A spring-backed insulator on top of each tooth allows you to brush from the root without burning your scalp. This wearable for racket sports was the brainchild of Israeli former professional tennis player Andy Ram. Using a unique machine-learning algorithm, Pulse Play offers complete game history, global ranking system, live scorekeeping announcements, a social community, and opponent matching. There are gamification elements as well. The general goal is to provide amateur players with an active worldwide community. Proprietary EarPrint technology inside Even wireless headphones (tagline: “Glasses for your ears”) analyzes, adjusts and adapts sound to each ear to provide a fully personalized listening experience. You can use them for phone calls, too. These headphones were on Popular Science magazine’s “Best of What’s New” list in 2017, got a silver medal from Headphone Review and appeared on Wired’s “The Best Wireless Headphones for Everyone” list for 2018, among other accolades. Available at Best Buy, Even H3 headphones feature integrated Bluetooth and a 20-hour battery life and come with a carrying case, jack and micro USB cable. A companion iOS or Android app lets you set your EarPrint, test how you hear different frequencies, keep tabs on the battery, and store and manage multiple EarPrints.